All textures must be power of two in size, rectangular textures are supported, for example, 16×16, 128×32, 8×64, etc. All files are in the RGBA format. Not pressed, not in focus. 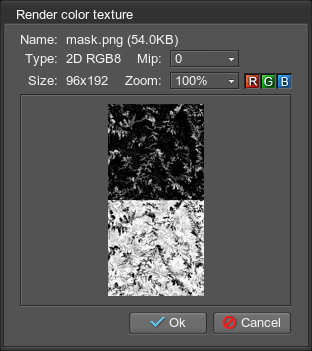 Parts of the texture are copied 1:1. The texture is divided into two parts: the initial state (upper) and the final state (lower). While a texture splash screen is being displayed, the initial picture (upper) is gradually replaced with the final one (lower). Pseudo-animation can be created using the alpha channel: regions of the lower half with small alpha values will be shown first, regions with larger alpha values will be shown last. 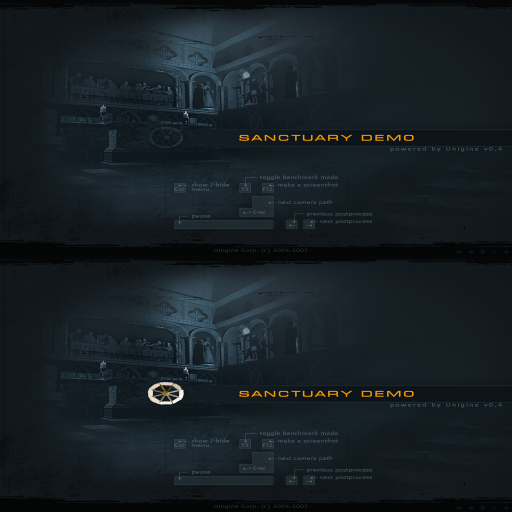 The texture is resized to fit a widget. Vertical and horizontal strips (2 pixels in width), which are located at the center of the corresponding half of the texture are used to fill in space between corners. The strips are stretched, and the resulting color bar is constructed using interpolation between colors of the pixels in the strips. The texture contains four variants of buttons in different states, the same as defined for icons. 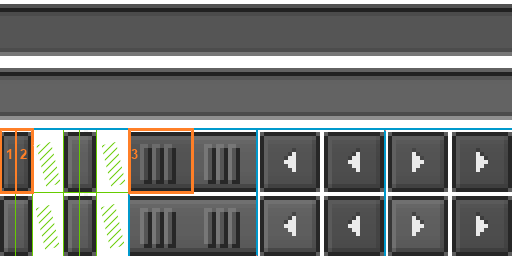 Also, each button is divided into 3 parts, which are shown below. All four corners are copied 1:1 from corresponding corners of the texture. 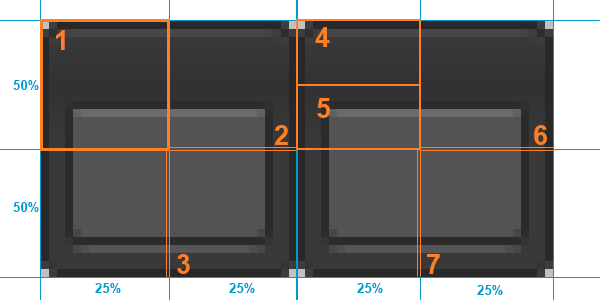 Vertical and horizontal strips (2 pixels in width), which are located at the center of the corresponding half of the texture and marked as 2 and 3 on the picture are used to fill in space between corners. The strips are stretched, and the resulting color bar is constructed using interpolation between colors of the pixels in the strips. 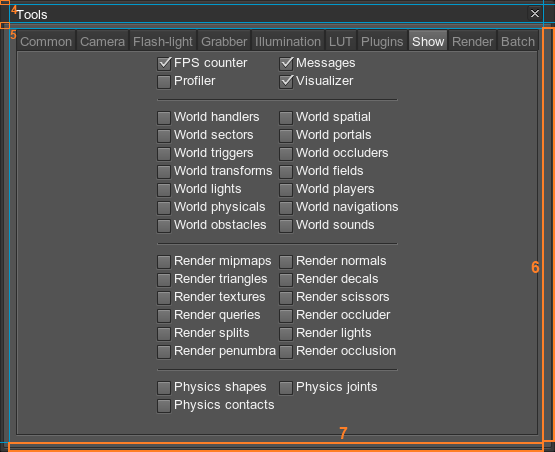 The texture contains two variants of checkboxes (left column) and two variants of radio buttons (right column) for unchecked/unselected (top row) and checked/selected (bottom row) states. 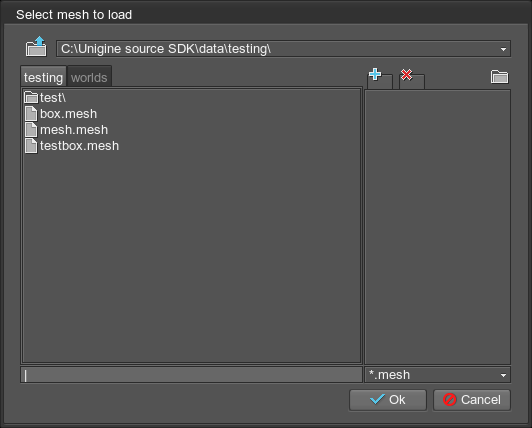 The texture contains two variants of combobox icons: closed menu (upper) and opened menu (lower). The left half of the texture is stretched to fill a widget. When pointing a mouse, it smoothly shifts to the right half. The texture is stretched to the given height. The texture is divided into five zones, each of which uses the layout similar to the icon layout. Bottom-left corner has a specific layout, since it contains unused regions (highlighted with green hatching). The scroll bar handle is combined from the left (1), central (3) and right (2) parts; the underlying bar is stretched to the given width. The layout is similar to the layout of a horizontal scroll bar. The texture is stretched to the given width. The left half of the texture is used to highlight the text and the right one is used to highlight the selected tree element. Layout is the same as for buttons. The assembly is the same as for buttons. Layout is the same as for borders. The assembly is the same as for borders. The upper left part is for folded non-leaf nodes. The lower left part is for folded non-leaf nodes. The right part is for "branches" connecting nodes. Layout is similar to the layout of the horizontal scroll bar. Assembly is similar to the assembly of the horizontal scroll bar. Layout is similar to the layout of the horizontal slider. Assembly is similar to the assembly of the horizontal slider. On the image below, the left half is for windows with caption and the right half is for windows without caption. All four corners are copied 1:1 from the corresponding corners of the texture. Vertical and horizontal strips (two pixels in width), which are located at the center of the corresponding half of the texture are used to fill in space between corners. The strips are stretched, and the resulting color bar is constructed using interpolation between colors of the pixels in the strips. Two files are used to create a base dialog. These files correspond to two buttons of the dialog. Images are copied 1:1. This dialog requires four images that use the icon layout.